A free and easy to use utility that checks a site for broken links. It starts checking links from the specified URL and processes all found pages on the site until all links are checked. 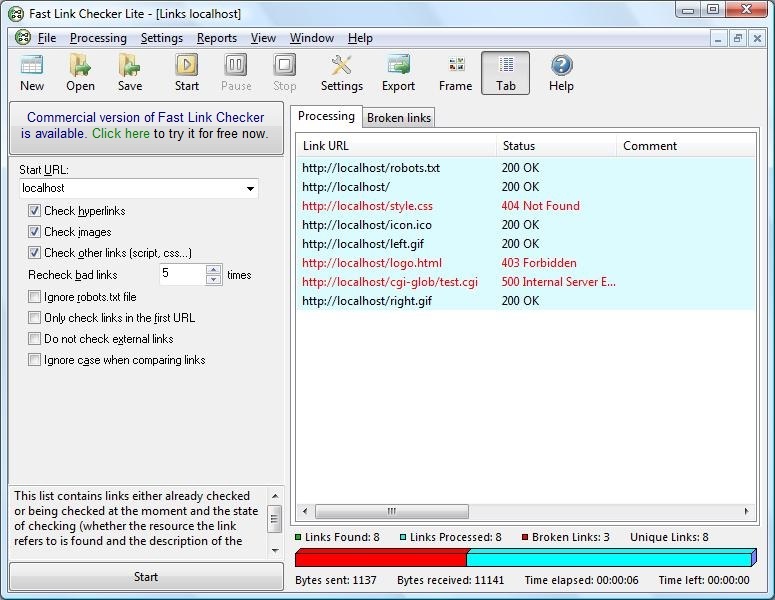 Fast Link Checker Lite can check links to different resource types on both current and external sites, check all static and dynamic HTTP and HTTPS pages, FTP, FTPS and RTSP links. and take orders online. It enables larger eCommerce sites to use categories to make browsing easier for customers.